A few weeks ago, Beards of Denver ventured down to Dallas, Texas. When not searching for Willie Nelson and admitting that, yes, everything is bigger in Texas, we were fortunate enough to enjoy some whiskies while a country band played at Adair’s Saloon in Dallas, and lucky enough to encounter our latest Guest ‘Stache: Rhett. Rhett, who’s had his ‘stache in this amazing condition for the past three years or so is Fort Worth born and raised and now lived in Texas, but interestingly enough, had a Colorado connection of a friend’s band touring in Denver the same weekend we met him; we thus loved he and his stellar ‘stache even more. Rhett originally decided to grow out his ‘stache to battle a buddy who was also growing out his beard, and he had–he said, regretabbly–recently trimmed up his ‘stache. 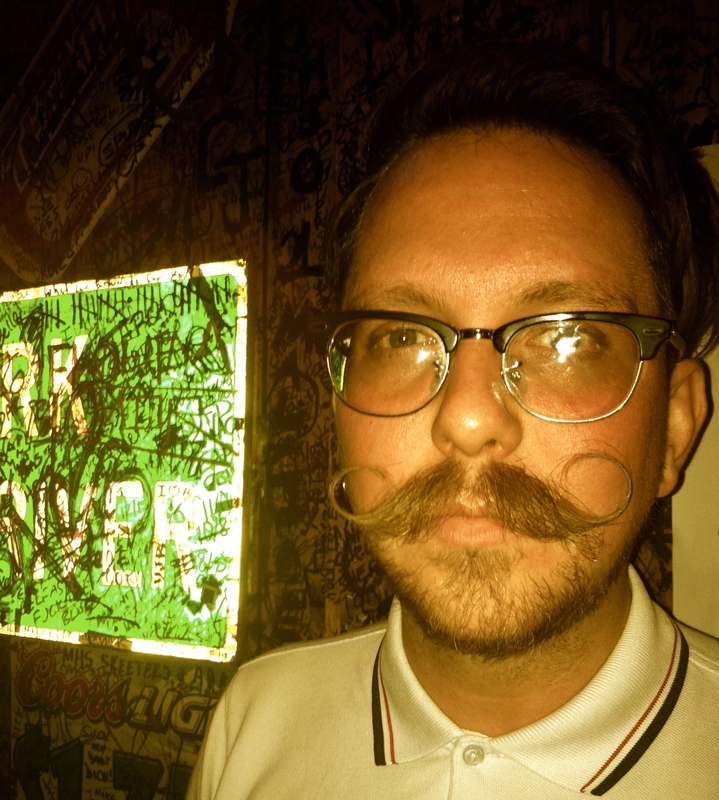 A hair stylist by trade, Rhett took extra pride in his ‘stache, and we can see why!